Ridgeline is made in New Zealand and is the No.1 selling clothing range for the New Zealand and Australian outdoor hunting market. This Monsoon II performance Jacket is Ridgeline’s state of the art storm weather outerwear. It offers Warmth, Waterproofing, Durability and Functionality. 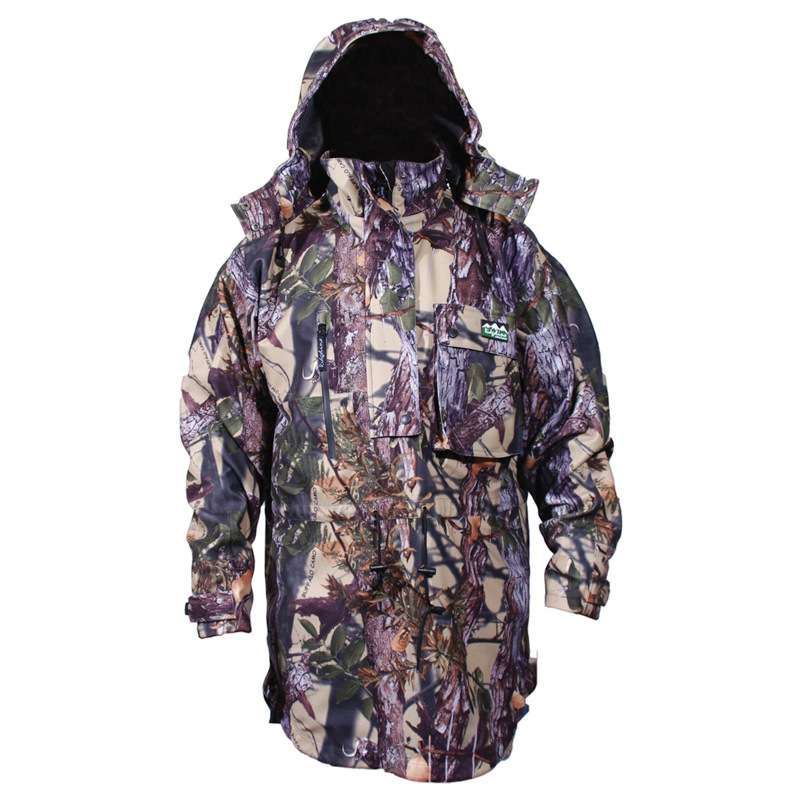 This Monsoon II Jacket is the ultimate extreme weather garment in the popular anorak style. This season it features new and improved cuff and hood designs. 100% Waterproof/breathable and abrasion resistant seam sealed RL-TEXTM three layer shell. Adjustable double cuff system with self fabric outer cuffs and internal neoprene cuffs to keep the water out and the warmth in. Detachable peaked hood with adjustable clinch. Soft touch silent shell fabric makes it the ideal jacket for stalking or tracking as the fabric does not make any noise when you are walking. The back of the jacket is slightly longer than the front to keep you warm and dry when sitting or bending over. Available in Buffalo Camo only.